My coaching packages are especially designed to support intelligent, rebellious, high-achieving spiritual women to create and grow thriving, abundant service-based businesses. You’re in the right place if you’re a life, health or business coach, yoga teacher, healer, holistic therapist, body-worker, thought-leader, visionary, mindfulness expert, meditation teacher, retreat leader or spiritual woman who is ready to start or grow your business. Can You Recognise Yourself Here? You are unemployable. That is, you do not do Monday to Friday 9-5. You have tried it and it made you so stir crazy you had to find another way. You can’t understand how anyone could do it for their whole working life. It would kill you to have to go back there. You would prefer to cobble together some part-time or casual gigs than ever be involved in a soul-destroying rat-race again. You think outside the square. You want a life that isn’t forced to follow conventional rules because you can see through the B.S. There is an unhealthy mainframe that many people struggle to fit into and you’re one of them (hello entrepreneur!). You thirst for ways to express your service that lie outside mainstream practice. You are a black sheep and a misfit, but your uniqueness makes you special. You are a highly sensitive person (HSP). You feel other people on every level and every nuance. You feel their pain, their dreams, their drivers. You are built for service because you are so sensitive to others, yet ironically this makes you more susceptible to burn out, over giving and under-charging. One of your greatest spiritual lessons is being in business because it is challenging every limitation you have ever imposed on yourself. You are able to see your business as a spiritual practice and this makes you courageous in the face of the fears-storms that come with every up-level. Your spirituality supports you to step beyond your comfort zones. You have secretly always known that you are made for more. Speaking, writing, creating, coaching, influencing, the art of service. Being a significant impact in the world. Helping others to change and transform their lives. Making a difference, not settling for less. You are driven by a benevolent why. This is a small still voice that is a call to adventure on the heroine’s journey. I believe it is the voice of benevolence and I believe it is speaking to us if we are brave enough to listen. Your only reason for being in service may be that you’re being called to it by the small still voice within that urges you to keep going and to make a difference in someone else’s life or in the world. You are not driven by externally motivated factors like fancy cars or homes. You are driven by an insatiable desire to make a difference in the world of kindness, care, healing, transformation and love. You are prepared to work hard for the luxury of providing a significant service that benefits others. You want to take care of your families and loved ones. You value self-care and longevity but not to the point of making excuses for not stepping into valuable ways of offering your heart-felt gifts. Your sense of overwhelm comes from caring so much. Most of the time, you can achieve more than the average person because you are built in resilient ways, especially given your sensitive nature (which ironically has forced you to grow resilient). Your greatest fault is that you have a huge heart which sometimes (or frequently) over delivers. You intend to ignite, inspire, uplift, heal and motivate with your words, writing and work in the world. Sometimes the bigness of your mission feels overwhelming. You are committed to your personal development. 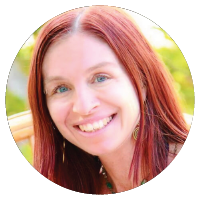 You love geeking out on self-development strategies and learning more about your field of endeavour – coaching, writing, speaking, serving, healing, holistic and sustainable business. You are a studious creature who could have been a high-flying executive if it weren’t for your Jedi-like and Hobbit-like urge for nature, for the wild, for the embodiment practices and your new feminine leadership genetic coding. If you weren’t so rebellious, you would have risen to the top of a corporate structure (or maybe you once did, and it destroyed your soulfulness enough for you to become unemployable and extremely self-determined). You are discerning about the latest fads. You are more drawn towards deep, slow simmering introspection, which means that you enjoy taking organic action steps based on your intuitive guidance systems and not some flashy quick-fix marketing advice. You don’t fall prey to superficial promises and you are committed to creating sustainable, organically grown businesses with longevity and soul that are a natural extension of our genius zones. You are over making excuses and ready to move. You understand the importance of the healthy masculine. Pragmatic structures and scheduling has a place in the world of feminine-heart-centred business. You like being organised and planning but this comes secondary to the rebellious creative impulses that start the initial fire burning and you return to the source of this fire over and over. You understand that a fierce feminine leader will be supported by healthy masculine structures so you are prepared to learn more about the tools that you will be using to grow your online and offline impact. You are ready. Ready and responsible for creating lives and business that you love with all of your heart and soul. Ready to live a life on the road less travelled, wielding your gifts. Material success is not important to you, but earning abundance that meets and exceeds our needs and desires and allows you to look after your family and to donate to causes you are passionate about, without blowing your synapses, is one of your primary dreams. You are ready to step up, create a business with heart and soul and longevity, and to make a fierce stand for your world, planet, brothers and sisters. If any of these speak to you, then I’d like to invite you to let me make a stand for you. I am currently accepting applications for my bespoke 1:1 coaching program. "I thoroughly enjoyed every minute of my six week journey with Lisa. Prior to starting with Lisa, I had started my yoga studio and online classes but was feeling like I had so many ideas whirling around my head that it was hard to keep focused. I was also coming to terms with my own fears and doubts. Lisa is Professional with a capital P. She creates such a safe and judgment-free zone that it was easy for me to peel away the layers and reveal my vulnerabilities. She has an incredible ability to cut straight to the core and find the truth behind all feelings of doubt or insecurity. I especially liked it when we listed strengths and weaknesses. What I discovered was that some of my own perceived weaknesses were in fact what others saw as my strengths. Who knew!?! This kind of reframing has been a huge step for me. While Lisa is attuned to higher levels of thinking, she is also very firmly grounded and practical. I love that because each week when we made a list of action steps, I knew that I would not only be “getting stuff done”, but all this “stuff” would be part of my higher purpose. So if you need some help getting clear on your direction in life and/or business, then Lisa’s your girl!" Ready to up-level, systematise and up-scale to create greater levels of spaciousness, efficiency and ease in your service delivery. Ready for some hand-holding around your accountability. It is remarkable what we can achieve in our businesses when someone is holding us accountable. Sick of the formulaic approaches to business and craving a tailored approach which is unique to your specific circumstances and needs. I made a vow that if I ever ended up getting my life together, I’d do whatever it took to coach and mentor women who were looking to become the leading ladies of their lives. The years of personal development, coaching training, business training and continuous investment in my own development from the best in the field of coaching and business have paid off. The freedom and opportunities that my coaching business has been phenomenal. It has allowed me to be location-independent in my business, create transformation in my clients’ lives, make a difference and pull myself out of overwhelm and crisis, all whilst living on purpose and doing what I love for an abundant income. "My sessions with Lisa have been the most profound and transformational experience of my life! The combination of her inspired and unique programs coupled with an abundance of unconditional support and intuitive guidance, deep wisdom and a heartfelt desire to serve has created the space for true and lasting change for me. I am deeply grateful for all we have witnessed together as my journey unfolds. This woman has found her life’s work-what a goddess!!" If you feel like this is something that could change your business and your life, I invite you to apply now. 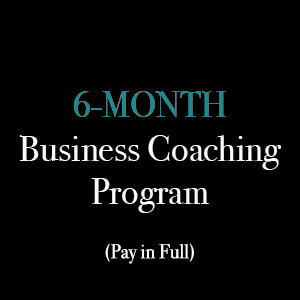 As there are a limited number of coaching programs allocated, I am committed to giving the time and energy to you as a client exclusively. Therefore, I require 24 hours notice if you wish to cancel an appointment otherwise the session will be forfeited. Refunds are only granted in exceptional circumstances. All sessions must be used within 12 months of starting your program and sessions will expire after the 12 month term is over. How you’ll deliver – we decide - are you an online e-course, program, workshop, retreat junkie or 1:1 kind of girl? How you’ll authentically market your service. No more pushing through some b.s. fad. Just pure, unadulterated, heart-centred marketing support tailored to your personality type. How you can fill your business to overflowing with dream clients. There are so many ways I can help you with this. "Lisa helped hone my purpose, stay true to my intention, identify any blocks and work through them together whilst building confidence in my own intuition and guidance. She helped me to prepare a business plan, prioritise and bounce ideas off. I could not recommend Lisa highly enough to help either create your dream or take it to a whole new level of success." "Working with Lisa has been life changing for me. She held a mirror in front of me and showed me my gifts when I could not see them for myself. She supported me unconditionally and allowed me to see what is truly possible for me and my business. I am forever grateful for having the gift of working with her and the visions that she allowed me to glimpse for myself are working their way towards me on a daily basis. 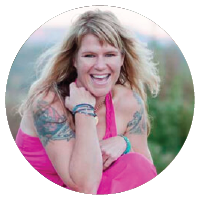 Thank you Lisa, for all the clarity, the visions and the loving support and guidance." Sonja Ramos, Fresh Betty Lifestyle – Minnesota U.S.A. If you've submitted your application and Lisa will be working with you, this is where you can make your payment for services. I'm not sure if my business is the right fit for this coaching program. How do I know? 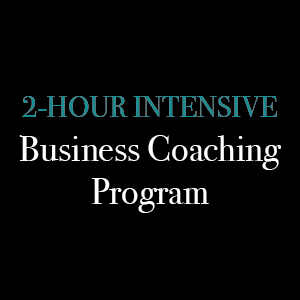 If you are currently running a coaching or service-based business and you have been committed to living a conscious, aware lifestyle but you’ve found yourself lacking direction, running out of time or money, or feeling overwhelmed, then this program is for you. If you’re ready to attract clients who are a perfect fit for your business, this program is for you. If you’re ready to find your sweet spot where soul purpose and abundance intersect in your business, this program is for you. This program is not suitable if you run an MLM business or product based business, or if you’re expecting a magic wand approach. A successful business takes time, commitment and integrity. Sacred Women’s Business makes a stand for women who are ready to step up and take full responsibility for their results. 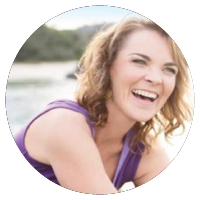 To have a chat with Lisa about the coaching process, email lisa@lisafitzpatrick.com.au or fill in the application form and we will respond within 48hrs (during business hours). Upon application, you will be assessed for your suitability for the program and a discovery call may also be conducted. Once you are accepted into the program, you’ll receive a welcome email with your welcome materials and access to your profiles and a sample coaching agreement to sign. 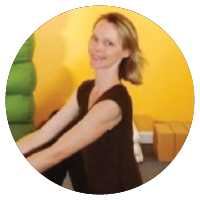 We’ll schedule in your sessions for the times and days that best suit you and we will meet on Skype or use the phone for your sessions (or meet in person if you’re a local to the Byron Bay shire). Do You Offer Refunds for this Program? I believe that when you make a decision to commit, you are honouring your deepest desire to make a breakthrough. I am 100% committed to you and to supporting your business in return. Under extenuating circumstances, a refund may be offered minus an administration fee (depending upon the circumstances). However, this may be further discussed and clarified at the time of signing your coaching agreement. 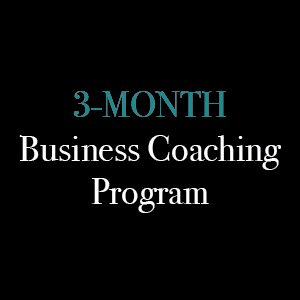 What Makes Sacred Women’s Business Coaching Programs Different to Other Business Coaching Programs? Sacred Women’s Business Coaching Programs are tailored to your business so that you can be supported to thrive in your uniqueness. I understand that you may be highly sensitive, unconventional and require a deep soulful approach to business. I understand that holistic well-being is important to you whilst running a business and that you refuse to compromise your integrity, alignment and values for the sake of success. True success to you is aligned to your true-life-purpose. Deep down you believe that you have a special mission. You are prepared to work hard, but you understand that the pay off will be worth it. I understand that your spiritual connection is a huge part of what will make you successful and that you are connected to a greater why behind what you do. After 5 years of solid 1:1 coaching, hundreds of clients and thousands of hours of delivering life and business coaching, I am confident that every client that comes through my coaching practice will receive life-long benefits from our partnership. Want to chat about my services first?